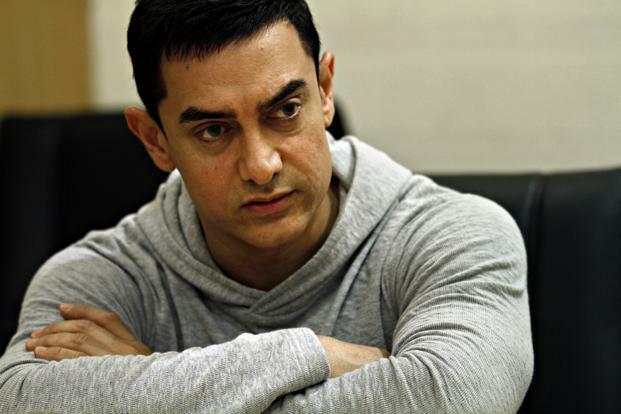 An Open Letter To Aamir Khan: Please Go To Pakistan, We Clearly Don’t Deserve You! As I casually browsed through my Facebook feed last evening, I found your name popping up one too many times. On digging further I learned you had something to say about us Indians being intolerant. Now seriously Aamir, what’s that all about? Even though I have been a fan of your work ever since I was introduced to Indian cinema, I was deeply distressed and saddened by your remarks on the rising climate of intolerance in this country; how might you call us intolerant? Don’t we ‘allow’ you to practice your religion and faith? Didn’t you make it big despite having the ‘Khan’ surname attached to you? This is absolutely outrageous and unacceptable, India and its people have made you what you are today! Who cares about the hard work that you put in for the last 26 years? Who cares about the innumerous awards and accolades you’ve won from India and for India? How dare you demean our ‘perfect’ country with a personal opinion? How dare you have an opinion at all? Disastrous levels of audacity and ungratefulness, I must say! Yes, you may be an epitome of perfection and an actor par excellence, but you failed the ultimate test, i.e., proving your patriotism towards your motherland. You see Aamir, the fact that you have given this country the best years of your life and that you set a benchmark for cinematic brilliance, doesn’t stand a candle against your utterly disappointing remarks towards a country that gave you so much. That though you may have given a thousand interviews before this, where you might have had only good things to say about this country, we will judge you solely on the basis of this one interview. We are egalitarian that way. Say, are you trying to appease our neighbours, Mr. Khan? Or is this a way of grabbing some eyeballs and headlines for cheap publicity? After all the monumental success that you achieved, YOU obviously still need it right? We watched your films Aamir, our money is the reason you are where you are today, don’t fool yourself, it’s not because you toiled day and night to make yourself the man that you are. Don’t forget, if we can glorify you, we can also demonize you. We may have honored you with the Padma Shri and Padma Bhushan, but we will not grant you the honor of having an opinion. How can you say you feel unsafe when you sit perched in a multi-crore pristine penthouse, guarded with personal body guards and watchmen, because harm can only be physical right? There is no such thing as a threat to thought, expression and belief. We can’t be bothered about the fact that you are human too, that you might have personal fears and beliefs too. As some Shiv Sena comrades have said and I quote, “Aamir was a celebrated actor till now, but he has turned out to be a snake to whom we generously fed milk, He can go to Pakistan if he feels India is intolerant.” Also, why just the Shiv Sena folks, many people, including those from the film industry have raised their voices on social media asking you to move to Syria and Saudi Arabia , where your wife might have to wear a veil and your children be targeted over their names, because apparently not forcing someone to wear a veil and not killing your son over his religion is exactly what tolerance means in this country! Go to Pakistan Aamir, because we have no place for anti-nationals like you. Go to Pakistan Aamir, because your hard work and dedication means nothing to us, all we care about is our pseudo-secular views. Go to Pakistan Aamir, because you’re not only being targeted for your views but also because you are a celebrity, your only job is to flex biceps and romance women on screen. Go to Pakistan Aamir, because we are a bunch of ironical hypocrites who show our intolerance for being called intolerant. Go to Pakistan Aamir, because we simply don’t deserve you!